Paul Habig is President of Sanky Communications, a marketing company that specializes in integrated fundraising, communications, and advocacy for nonprofits. Paul has twenty years of integrated fundraising, digital, direct mail and social advertising, web design, and email marketing experience. He has developed award-winning strategies and campaigns for more than 90 nonprofit organizations. Paul’s background in the nonprofit world also includes marketing and fundraising positions at diverse organizations such as the YMCA and CNEWA. He also ran his own Internet marketing business working with brands such as VitaminWater and SmartWater. He is an active member of the Greater New York Chapter of the AFP and serves as co-chair of the Web, Tech & Social Media track for Fundraising Day in New York, and also as a board member for the DMFA. 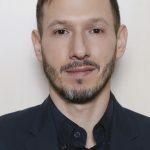 He is an adjunct teacher at the School of Public Affairs at Baruch College and is a frequent speaker at DMA, DMA of Washington, NTEN, DMFA, and AFP workshops and conferences. During his spare time, he loves spending time with his daughter at the playground, music class, and reading new books together.